On the road again, Shoboshobo’s giants are landing in the heart of Paris! 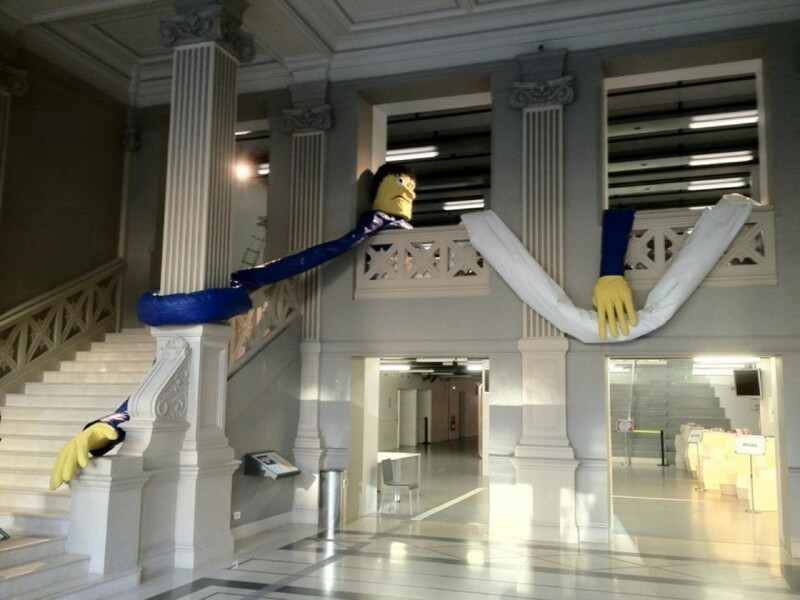 This time they occupied La Gaîté lyrique’s building during the exhibition Post Digital Monsters organized by Pictoplasma on the occasion of the Pictoplasma Festival. 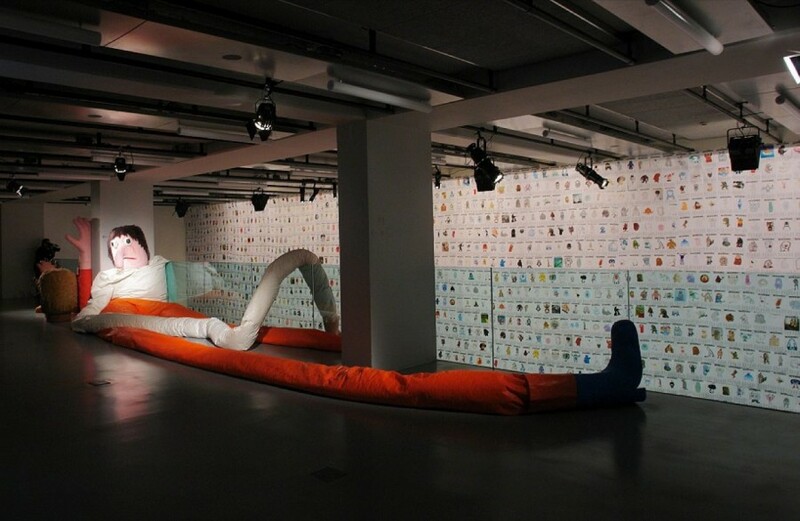 The exhibition presented works of international contemporary artists that explored the idea of haptic transfiguration of digitally inspired images using digital and traditional media for the creation of new monstrous characters. Atopos cvc has recently collaborated with Pictoplasma for the publication NOT A TOY. Fashioning Radical Characters, the first in-depth research worldwide on Radical Character Design in fashion and costume.